"Work as if you were doing it for the Lord, not for people"
This is something that we all fall victim to, no matter our spiritual beliefs. We want what we want now and we want it to satisfy our own indulgences. Do you want that brand new sports car to improve your status and feel luxurious? Or do you want that car to help you serve others. Last night Jon and I had a conversation about what we base certain decisions and choices on. The more we grow in our faith, the more I am finding myself going to God for even the smallest of choices. And of course big ones. I've chosen to give up cursing because of Proverbs 31:46 (She opens her mouth with wisdom, and the teaching of kindness is on her tongue.). I choose not to get belligerently wasted because the bible warns against indulging in wine. “What goes into a man's mouth does not make him 'unclean,' but what comes out of his mouth, that is what makes him 'unclean.' " Matthew 15:11. I choose to portray the fruits of the spirit when I can because God granted us the freedom to do so (Galatians 5:22-23). Do I use the Lord for all decisions? No. I wish. But I desire deep in my heart to work for His glory and not my own. Will I ever 100% live out those words? No, not ever. But I can strive and try and pray. There are so many times in my life I've made a decision and immediately regretted it and felt the need to repent. I am a sinful person. But I find myself wanting to please God in so many random aspects of my life and I can sense growth in my dependence on Him. You may hate your job but God is giving you the opportunity to serve Him with joy, grace, and character. Each of us was given a gift that's purpose is to glorify His name. I love this post, Ruthie! You inspire me to trust in the Lord much more than I ever would have thought I was capable of. Thank you for sharing your thoughts and fears so openly... you really are helping others! PS I am drooling over your bracelet... please share where you got it! 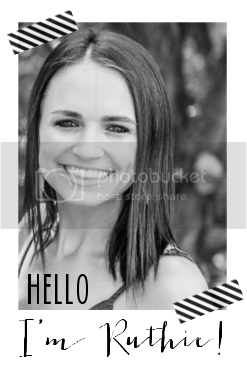 Thanks so much for your honesty and openness on your blog. I have had a problem with a few choice words every now and then. I want kindness to be on my tongue. Again, you write your faith so beautifully on ur blog - I love it and loved this verse. It has been my favorite "Grace for the Moment" this week. Love that cross bracelet! Funny thing I just ordered something similar matching bracelets for my sister and I about 3 days ago. They're so cute! Miss you friend, glad your trip was so awesome! Such an amazing post. I really need to start going to the Lord more. I needed to read this today. I'm having an especially trying day at work and I needed to be reminded what's important. Thank you! you are an inspiration to so many of us out there that are still lost and confused. Thank you for that!!! 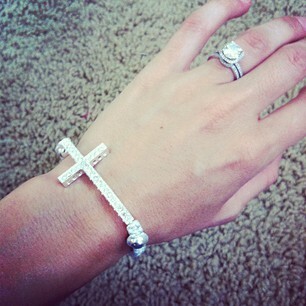 I love the Cross bracelet - I have been wanting to order one, i just havent decided on which ones yet. So beautifully written. I love your heart! ps - seriously love that bracelet so much!! I really, really loved this post and it was what my heart needed to hear. I'm currently reading through proverbs and have been truly convicted about my speech (speaking negatively/gossip) as well as drinking. It always amazes me how God's word can speak to me in different ways depending on what I'm going through in my life. Thanks for the honest encouragement! love your blog. you challenge me in my faith. thank you! I love that you're always so open and honest about your faith on here. I look up to you for that!